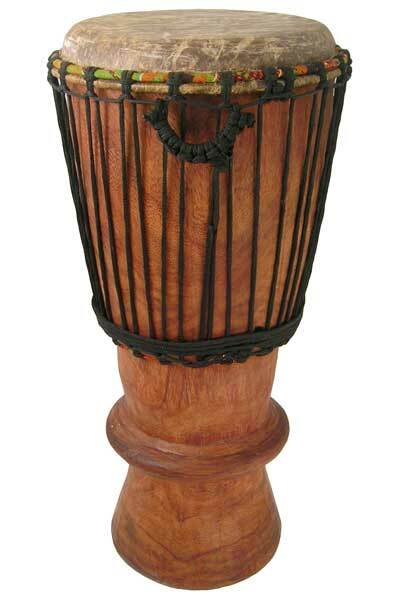 The Paragon Heartwood Mali Bugarabu 13×25 is a professional grade instrument built in Bamako for exceptional sound quality using specially West African solid hardwood, imported no-stretch rope, and premium cow skin. 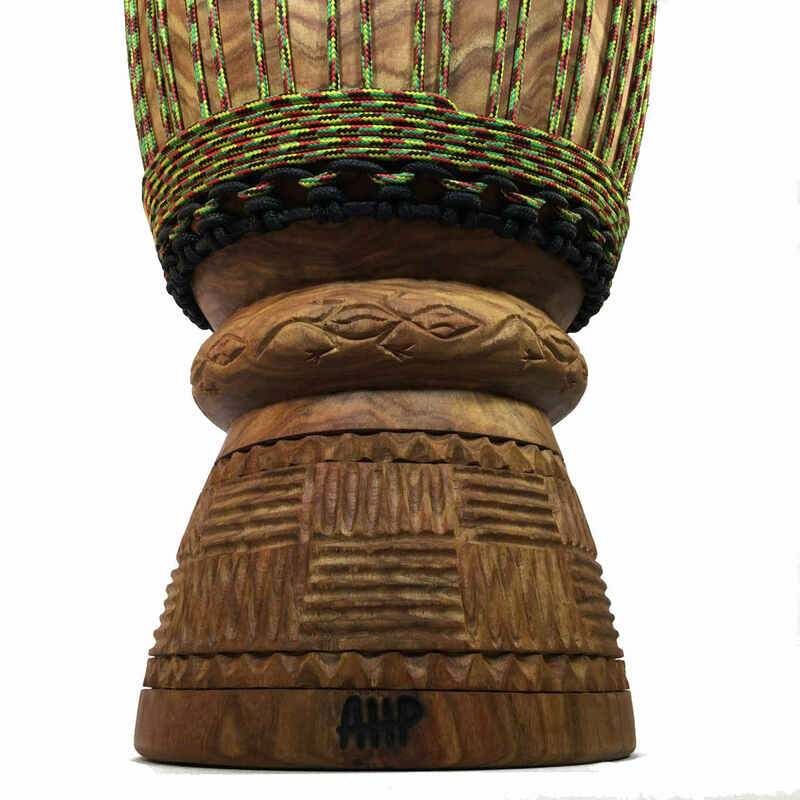 Our Paragon Heartwood Mali Bugarabu is a a professional-grade instrument built to our high standard for sound quality and craftsmanship by expert cultural artisans supported by non-profit Africa Heartwood Project in Mali, West Africa. 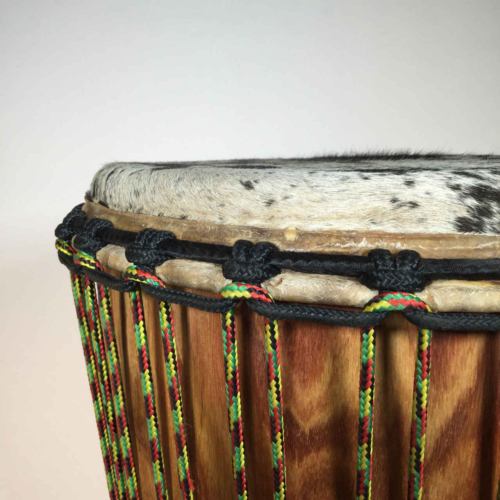 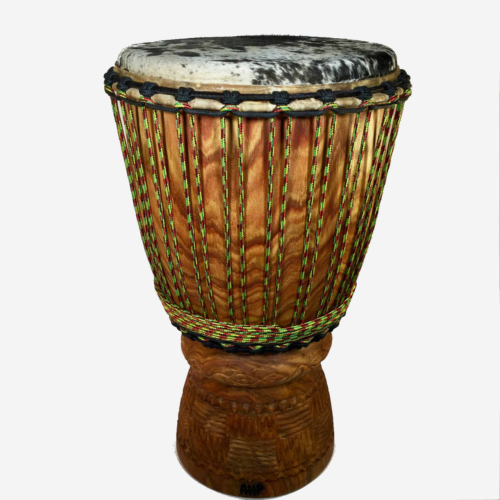 It is a standard size instrument suitable for most women or men who want an authentic African Bugarabu drum with exceptional sound. 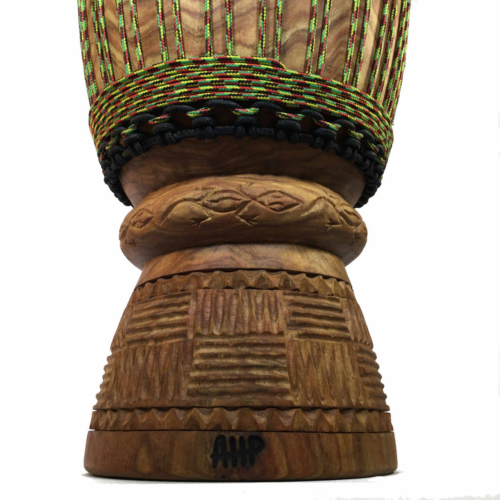 Our Mali Bugarabus are crafted by expert carvers using specialty hardwoods, finished with top-rate skin and rope, and feature a standard 2 top ring tuning system. 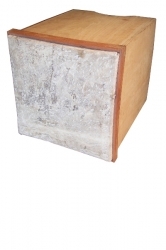 Shells are selected from Hare, Lenke, Dugura, and Acajou, healthy and well seasoned. 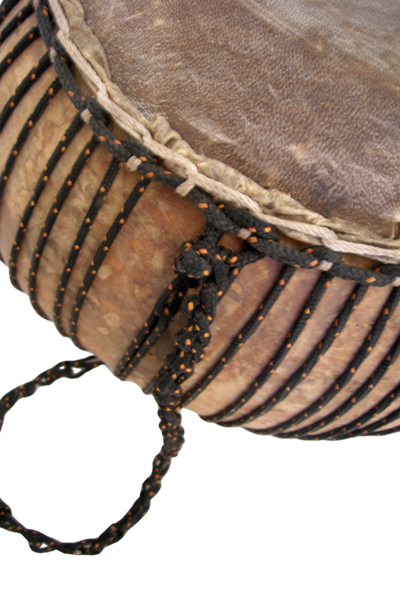 These are among the elite complete ugarabus available anywhere in Mali.l The sound produced is like a mix between djembe and conga: The shape of the shell produces a strong bass response, while the tight cow skin make the conga-like open tones and thick slaps. 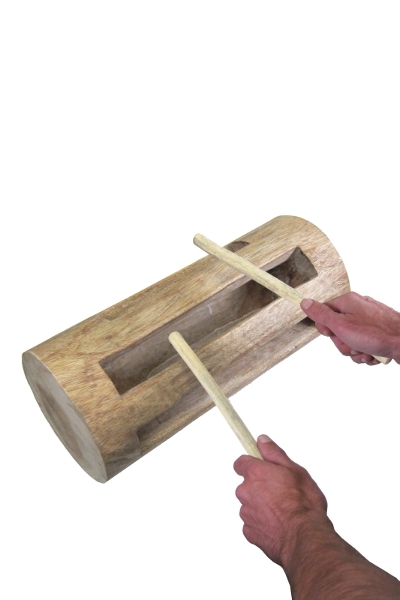 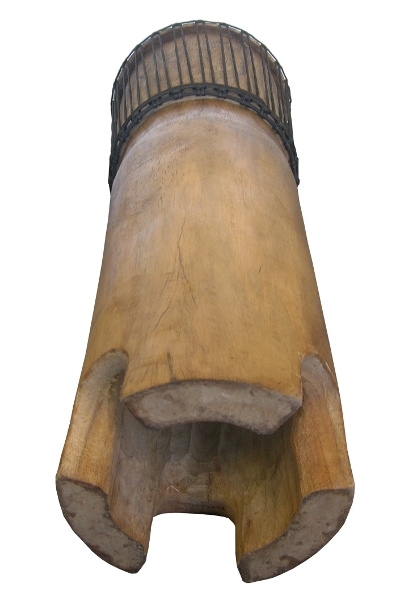 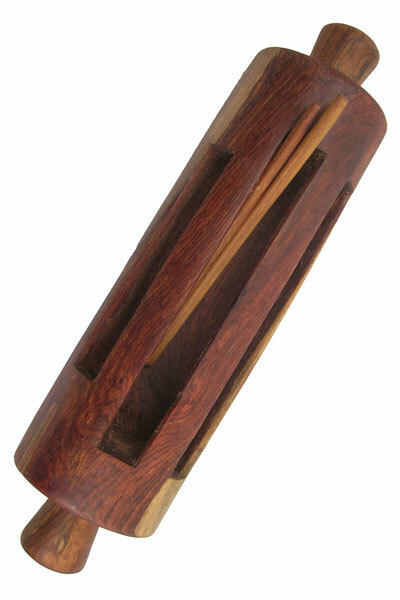 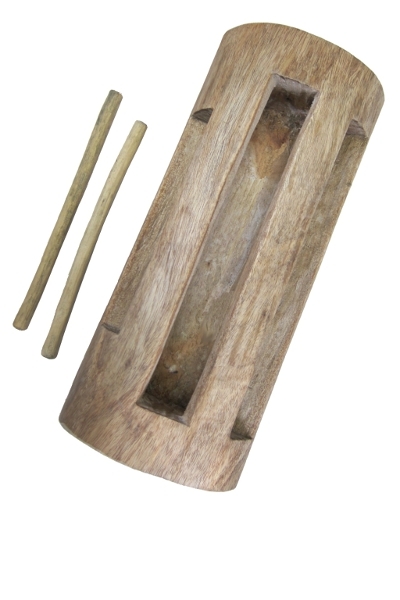 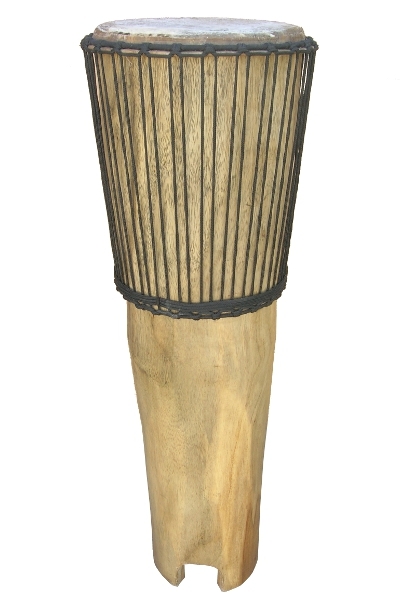 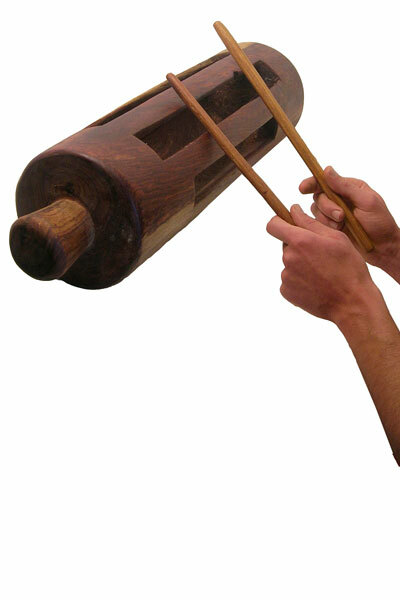 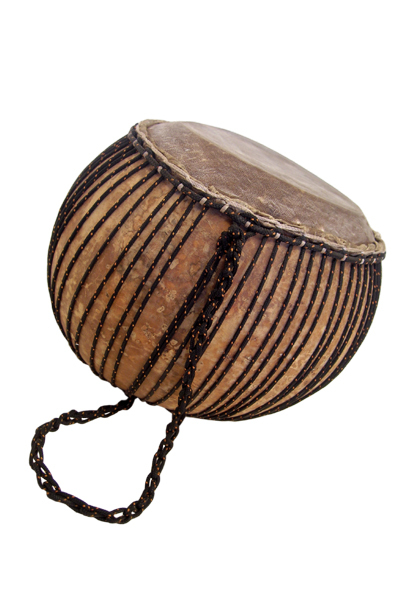 This instrument may be played with either djembe or conga technique. Learn more about this non-profit work supported by the sale of this drum at www.AfricaHeartwoodProject.org/drums.